A skill game with a sense of humor! 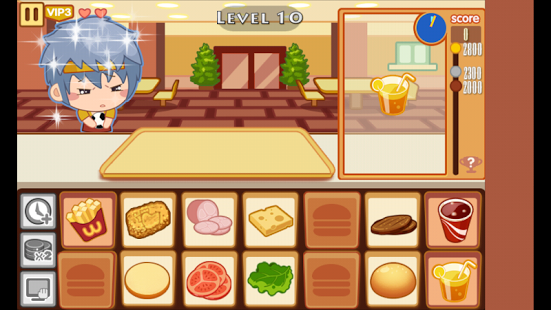 Like all restaurant sims, time is a factor in Burger Restaurant. You have to serve as much customers possible within a given time limit. Your customers have a limited amount of patience, and taking too long to prepare orders means bad business. 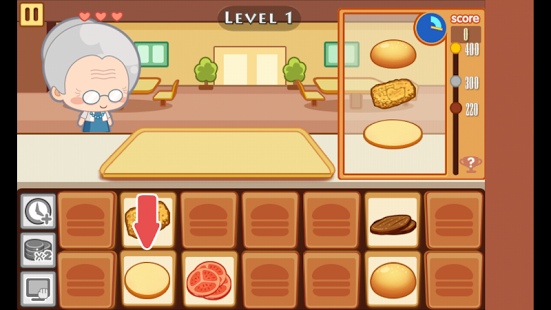 Prepare a nice and exact burgers to your customers. 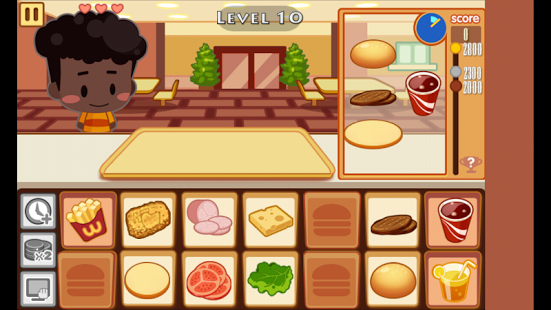 Add all sorts of different toppings and choose from a variety of burger options. Set your place and choose a drink to go with the meal. 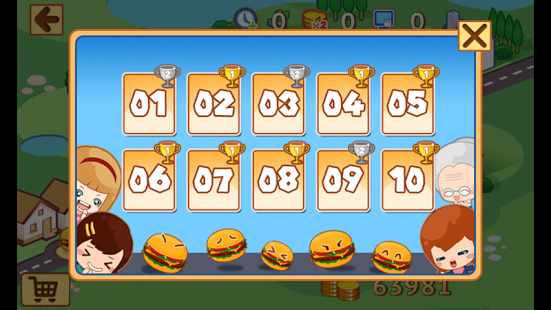 Cash in lots of Highscore points, but beware to lose a life, would be a pity if you lose all your highscore points. Make yourself the Burgerking!